One of Italy’s most popular tourist destinations, Tuscany’s incredible landscapes are world famous, as are its vineyards and rich renaissance culture. Located in the central region of Italy, Tuscany is one of the largest regions in the country, covering 8,800 square miles. Tuscany is home to 3.7million people and includes a large expat community. It is thought that around 7 per cent of the population is originally from other countries. Coast, city or countryside and terrain ranging from flat to mountainous plus seven World Heritage Sites, the region offers an excellent opportunity for visitors to experience the region’s rich history, culture and the traditional Italian way of life. 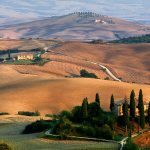 While it may sound idyllic for a short holiday, or even retiring, what makes Tuscany such an attractive option for many expats and their families? A major concern for expat families when relocating is the quality of the education facilities available to their children. The main options in Italy are public, private, and international schools. All children in Italy, regardless of nationality, are entitled to free education, which is compulsory between the ages of 6 and 16. Italian state schools are generally of a high standard and teach from a centralised curriculum, however many of these schools, both public and private, teach in Italian. For some expat children, this may be challenging, but it is an excellent way to master the language if fully embraced. For expats who would prefer their children to continue learning from their home country’s curriculum, international schools are a popular option. 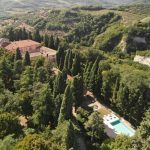 Tuscany has a wide range of international schools and while places can be expensive and hard to secure, they can help to ease the transition to a new country. One of the most popular reasons for moving abroad is to benefit from an improved quality of life. 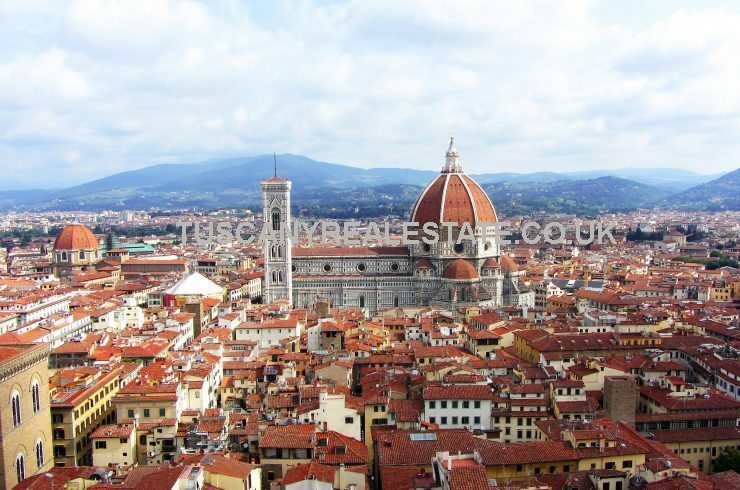 With a cost of living significantly lower than London or New York, even Tuscan cities like Florence are affordable and include the added benefit of a slower way of life and miles of idyllic countryside on your doorstep. Florence also has a strong industrial sector and tourism industry. This means that there are many opportunities for expats to maintain their career while living outside the major city centres, improving their work/life balance and maximising the opportunity for family time. A clear benefit of living a Mediterranean lifestyle is the climate. 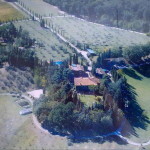 Tuscany has a typically mild climate year-round. Spring temperatures can sit at around 20°C, rising to 40°C during the summer months. While temperatures drop in the winter, the mountains protect Tuscany from the coldest winds. Without extremes of temperature, the region is ideal for living a more healthy, outdoor lifestyle with the whole family. 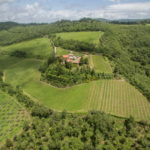 With so much to see in Italy, expat families will certainly benefit from Tuscany’s well-connected transport options, which make access to Pisa, Pistoia, Lucca, Livorno and Arezzo very easy. As well as two airports in Florence and Pisa, the option of high-speed trains between the western coasts cities and towns, intercity trains on the eastern side of the country mean that Milan and Rome are both less than two hours away. For those who want to head a little more off the beaten track, localised bus routes mean that all of Italy’s major tourist locations are readily accessible for countless weekend trips. Italy has one of the finest healthcare systems in the world. An overall ranking of 9th on the Healthcare Access and Quality Index is reflected in the impressive life expectancy of 82.35 years, demonstrating the benefits of quality healthcare and a Mediterranean lifestyle. 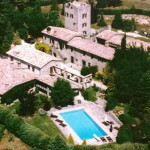 Tuscany has good health provisions, being home to three Local Health Authorities and four university hospitals. Healthcare in Italy is either free or inexpensive and is available to all tax-paying residents, including expats. While the state service is of a high standard, expats, especially those with children, should consider global health insurance options to reduce waiting times and ensure an English-speaking doctor. Children moving to Italy do not require any specific vaccinations, but those who will be joining public schools will be required to be vaccinated against the following diseases: polio, diphtheria, tetanus, hepatitis B, Haemophilus influenza B, measles, mumps, rubella, whooping cough, and chickenpox. While it is important that your family have good healthcare and education in their new home, the things that will make lasting memories will be the fun of exploring. As Italy’s cultural core and home to works by Michelangelo, Botticelli, and da Vinci, Tuscany has a huge range of activities to enchant and entertain the whole family. 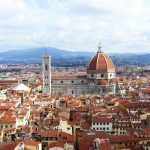 Popular attractions include the Uffizi Gallery and nearby Boboli Gardens, which are both an excellent way to experience Florence as a family. The children can enjoy playing in the mazes and winding paths while the parents soak in the breathtaking landscape. 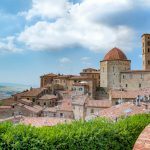 Other great Tuscan attractions include Pinocchio Park, the medieval fortress in Vicopisano, and Pistoia Zoo – one of the most popular zoos in Tuscany – which is home to some 100 different species. 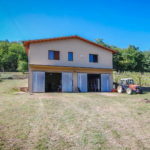 With an Italian pace to life, an improved work-life balance and centuries of culture to discover, expats, moving to Tuscany with their families can look forward to living a more relaxed and healthier lifestyle in their new home.